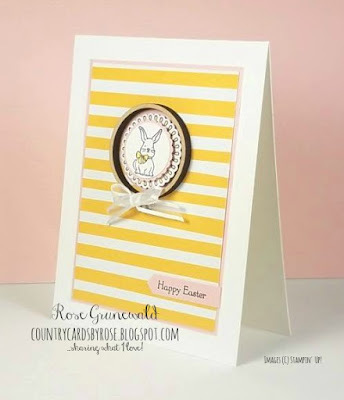 It's Tutorial Tuesday, and I've got a super adorable Easter card for you today! Now that bunny is cute, and I am absolutely in love with the springy, bright colors of this card and that Organza ribbon! Don't you just love the clean and simple look of this card? I've got step by step instructions for you below. Click HERE to get a pdf version of this tutorial and print if you like. 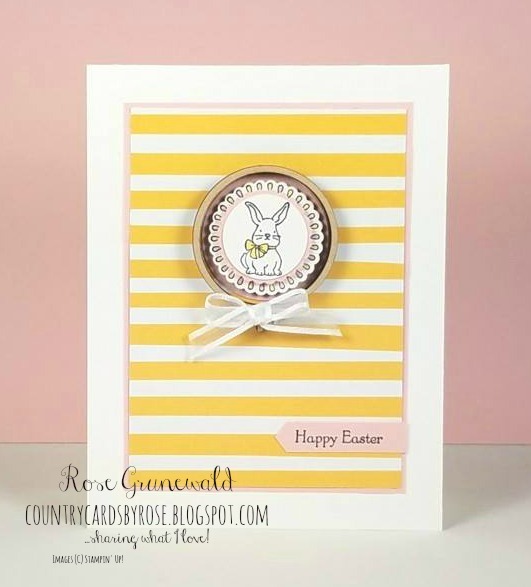 Add the DSP to the layer of pink and then to the card base with Snail. Ink bunny, just because scallop image and sentiment in Memento and stamp on scraps of white and powder pink, color the images on white with the Stampin’ Blends. Crop the bunny with the 1” Circle Punch, the just because with the 1 3/8” Scallop Circle and the sentiment with the Classic Label. 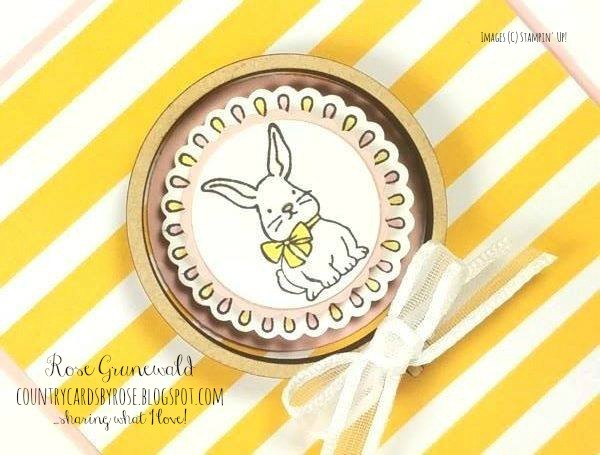 Crop a 1 1/8” Scallop Circle and a 1 ½” circle from scraps of Powder Pink, layer the bunny to the scallop with Snail use a dimensional to adhere it to the just because image and a dimensional to adhere this to the 1 ½” plain circle. Add this stack to the card near the top center and adhere the large embroidery hoop with a few rolled up glue dots. Tie a bow with the white organza ribbon and add to the hoop with a glue dot.